Scot Ludwig has a very full hat shelf. He owns a law firm. He serves on Boise City Council. He serves as a CCDC commissioner. And he hopes to develop a pair of tall buildings in Downtown Boise. (Read here for details on the proposal). Since BoiseDev first reported the plan early this year, Ludwig has encountered some bumps in the road. KTVB's Morgan Boydston reported a story on ethical concerns raised about Ludwig's tri-role as developer, CCDC commissioner and city councilor. The nascent Vanishing Boise group organized against the project. Now, the Planning and Zoning commission has denied Ludwig's application for the project. After a number of community members testified against various elements of the proposal, P&Z moved quickly to block the development. Commission member Jennifer Stevens moved to deny the application. While she said she is excited about enthusiasm and glad there are developers with the resources to do projects - she had large concerns. She referenced the city’s vision for 5th Street as a pedestrian corridor, and felt the parking structure Ludwig included was a problem. Stevens said the area “needs parking, no question about it,” but felt this location and the way it was integrated into the development were not appropriate. Commissioners also felt the buildings were too tall for the area and denied the needed waiver. The motion to deny the project was approved 5-1. Ludwig can appeal the decision. His colleagues on Boise City Council would be the body to hear that appeal - with Ludwig presumably recusing himself. Vacation rental company Vacasa is increasing its Boise presence after a big funding round last fall. The Portland-based company will move into the One Capital Center building this June, after a $2.3 million remodel of the second and third floors is completed. The building at 9th and Main has been morphing after original tenant JR Simplot Co. vacated numerous floors for a new custom-built campus a few blocks away last year. Vacasa will take up 35,000 square feet and will be moving all Boise-area employees to One Cap. "The new space will accommodate Vacasa's growing team in Boise," CFO Ryan Vestal said. "We have currently 115 employees in Boise and have 11 open roles which can be found on Vacasa's career page." The new space will bring the Boise team together and allow for future expansion. "Vacasa's Boise team has seen a lot of growth in the last year," he said. "As our team continues to grow, we need a space that can grow with us." Vacasa completed a $103.5 million "series B" funding round (jargon for a second round of investment in a company) in October as it continues to grow in a space dominated by Airbnb. Vacasa provides a managed-service approach to home rentals. Corrects number of Boise employees and date of series B funding. Also adjusts attribution of quote. The proposed office building on Parcel B is getting closer to reality - albeit slightly smaller and with a new feature. 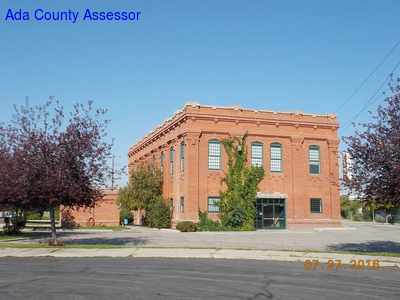 Gardner Co. has submitted a revised design review application for the five-story office building on its Pioneer Crossing development on the southwest quadrant. The overall square footage has been reduced by 18,000 square feet - and a new drive-through is proposed along the east side of the building. Gardner Co. executive VP David Wali tells BoiseDev the drive through application is for a potential bank tenant. The plans also call for the removal of a service driveway on the western side of the building - to be replaced by a landscaped berm. The office building will be joined on the large site by a parking garage which is nearing completion, a Hilton Garden Inn under construction and a future Panera Bread drivethrough. Parcel B is located on the block bounded by Front St., Myrtle St., 11th St. and 13th St. They will move into the 100-year-old Langroise Building - aka John Alden Building - aka 10th and Main. The former home to John Alden Insurance has been vacant for some time, but Sawtooth Development is reworking the property after finishing up the attached One Nineteen condos project next door. “Working with design partners CTA, Tenth and Main will showcase a contemporarily designed facade, floor to ceiling windows, an upgraded lobby, new elevator, and a potential 5th floor expansion," Sawtooth Development Group CEO Shane Felker said in a prepared statement. A Micron spokesperson could not comment on the building's purpose - but said details would be available in coming weeks. Micron's new CEO Sanjay Mehrotra is slated to speak at a Boise Metro Chamber event on July 27th. Building 37 will get its day in front of Boise's Design Review group next month. The Idaho Business Review newspaper is ending its lease on space at 9th St. & Broad St. in Downtown Boise. Hawkins Co. has the 4,891 square foot space listed for lease on its website. Loopnet indicates the rate is "negotiable." "I can confirm the lease with Hawkins Co. will expire in August and the Idaho Business Review will be relocating into a new office space August 1st," IBR associate publisher Cindy Suffa said in response to a request for comment. Suffa did not elaborate on where staffers would relocate. The parent company of the Boise-based business paper was acquired by large newspaper conglomerate GateHouse Media in 2016. GateHouse says it operates in more than 500 markets across the United States. The massive development sits on a 78-acre property on the southeast corner of the two major roads - directly across from a Fred Meyer store. Application documents filed with the City of Meridian and requested by BoiseDev show the project would include a large "grocery use" - and renderings have been included that depict a WinCo Foods store. Nearby, a larger unnamed box store is included - but the site plan design and layout all match the specifications for Costco stores, with the "triangle cut" corner entrance. An adjacent area is also formatted similarly to Costco fuel centers. In April, Meridian Press reported a meeting between the developer and city officials - in which reps for Costco and WinCo both attended. Costco officials have repeatedly refused comment to media outlets when questioned. "Buildings will be designed in a traditional modern theme and will incorporate a variety of high-quality materials including stone brick, stucco and timber," Craig A. Slocum with CSHQA wrote in the application to the City of Meridian. "These natural materials will be trimmed or accentuated through the use of more finished material such as chrome, aluminum or gloss painted trims. " A new stoplight is planned Chinden Blvd. at Bergman Way - and has been approved by the Idaho Transportation Department. This will be Boise-based WinCo's third Meridian store. The second location is currently under construction on Overland Rd. between Eagle Rd. and Locust Grove Rd. It will be the 8th in the Idaho portion of the Treasure Valley (a ninth store is branded Waremart by WinCo in Ontario). The new Costco, if it comes to fruition, would be the Treasure Valley's third - after locations on Cole Rd. in Boise and in Nampa. Boise's Plaza Seven has been purchased by Zelham, Inc. - a Garden City-based company which specializes in remodeling hotels across the country. The average hotel gets a revamp every seven years - and Zelham specializes in that process. The company moved to the area in 2004 "to take advantage of the quality of life and outdoor activities." Projects the company has worked on locally include the Grove Hotel, Hampton Inn Boise Spectrum and Springhill Suites on Cloverdale Rd. Located on Fairview Ave., Plaza Seven was constructed by KTVB Television in 1973 (hence the "7" name), and was sold by later owner Providence Journal in this 1990s, leading to a string of owners for the property. Zelham purchased the building and will begin a renovation on the vacant first floor to house the company's corporate HQ. The second floor is home to the studios of Scripps radio Boise (KRVB/94.9 The River, KTHI/107.1 K-Hits, KQXR/100.3 The X and KJOT/J-105), and the Idaho Nonprofit Center - both of which will remain. The remodel is valued at $200,000. Brighton Corp. has applied to build a 120,000 square foot warehouse project on Federal Way across from Micron Technology in Boise. The project would be set up for up to eight tenants to take as much as 15,000 square feet of mixed warehouse/office space. "We feel this project is in short supply in the Boise Industrial marketplace and will be an improvement to the neighborhood," applicant LM Construction wrote in its letter seeking design review approval for. The project will go in front of Boise's design review group on May 10th. Our friend Dave Fotsch snapped these pictures of the Skyvue Grill on Fairview Avenue near Orchard St. being torn down this week. 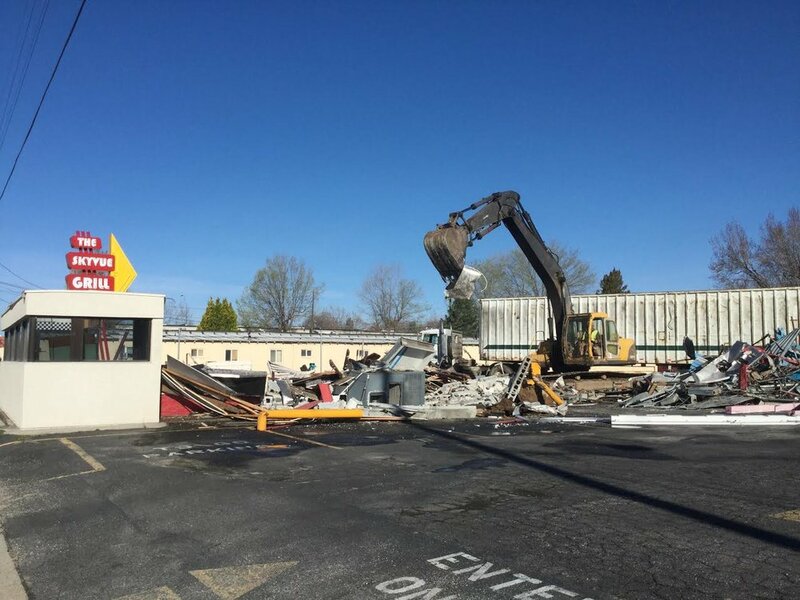 The one-time Rockies Diner car hop location is headed to the landfill to make way for a small office park. A 5,900 square foot complex was approved through Boise's Design Review process last May. Jim Conger's Conger Management Co. is listed as the project's developer. Conger owns an existing office project to the north of the site. "I was forced to proceed with this project or face the consequences of another paved parking lot turning into a used car sales business," Conger wrote in requesting design review approval of the project. Elements of the existing sign are to remain, according to the filings - and the project will be named the "Skyvue Business Park." SkyVue opened in the former Rockies space in 2014 - but closed after just more than a year. The space has been vacant since. The State of Idaho will purchase the H-P campus on Chinden Blvd. in Boise - and will lease back a portion to the company. A parcel on Shoreline Drive currently owned by St. Luke's Health System was also in the running for this RFP process. That Shoreline parcel is also a possible location of a downtown Boise Stadium project. 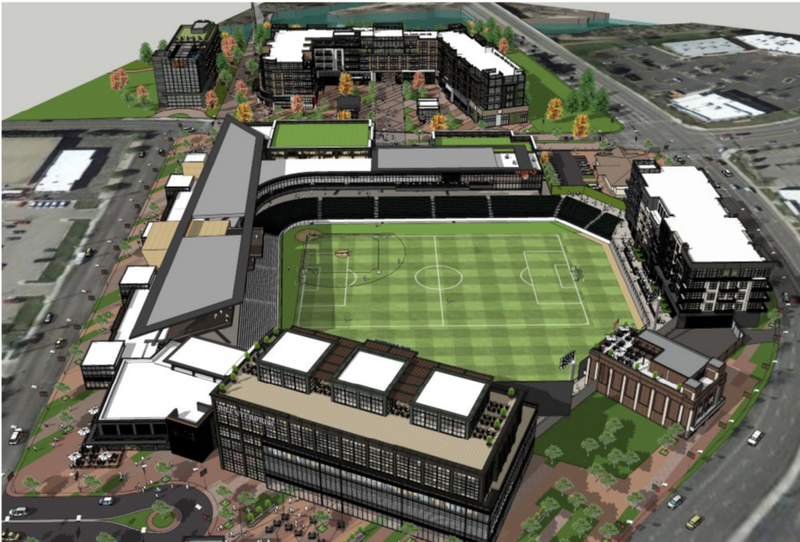 St. Luke's officials told BoiseDev yesterday that they could not comment if there are other parties beyond the stadium group looking at buying the land. (BOISE) – The Idaho Legislature is considering a concurrent resolution authorizing the State to negotiate the purchase of the local campus of HP Inc. as a new home for the Idaho State Tax Commission and several other State agencies. In the meantime, the Department of Administration has signed a non-binding letter of intent to enter into talks with HP to purchase the complex on Chinden Boulevard between Five Mile and Cloverdale roads. The facility where the Tax Commission now is housed, on Park Center Boulevard near downtown Boise, was purchased by St. Luke’s Health System last year to meet its own facility needs. In late October, the Department of Administration issued a request for proposals for new or existing space where the Tax Commission and possibly other State agencies could be located as their more expensive leases expire. It received 46 responses. The State now leases more than 800,000 square feet of office and warehouse space in Ada County at an annual cost of $12.2 million. The HP property is almost 200 acres and includes eight buildings with approximately 1,346,000 square feet of office space and 200,000 square feet of warehouse space. The purchase price is estimated at $110 million and an additional $16 million is included in the bond estimate for building renovations, for a total investment of $126 million. As part of the proposed purchase and sale agreement, HP would lease-back over half the office space in the complex for an initial seven-year term. The State also will assume third-party leases with other entities already located on the campus. The State initially will use 152,000 square feet of office space, increasing to 366,000 square feet in 2020 as those other third-party leases expire. “This provides the State of Idaho with a long-term solution to our Boise-area facility needs at a reasonable price. It’s a sound and responsible investment that will help us maintain our commitment to living within the people’s means,” House Speaker Scott Bedke said. “With business booming, lease rates in the Boise area are rising. And new construction would cost taxpayers twice as much as this plan. The numbers don’t lie: This is a great deal for Idaho,” Senate President Pro Tem Brent Hill said. A second piece of legislation will amend Idaho Code 67-5708 to allow the Department of Administration to accept existing leases incidental to the acquisition of a facility by the Idaho State Building Authority. Revenue from the lease-back and third-party leases – combined with rent collected from State agency occupants – should be enough to provide for the purchase and operation of the HP campus facilities without additional burden to the State. Jelli, a company that brings Internet-like advertising features to radio, is opening a Boise office. They've applied to take a space in the Drake Cooper building at 8th and Myrtle in Boise. We're told about 40 employees will be based downtown, including engineering positions. Presently the company has a variety of Boise-based jobs posted on its website. Right now, the radio spots between the Beyonce songs you hear on the radio are purchased by calling a salesperson and working out an advertising schedule - which can be less-than-efficient. Jelli and other companies focusing on television promise to change the marketplace to allow programmatic buying - essentially the way most ads are purchased online. The company is backed by iHeartMedia among others. Boise business incubator and startup accelerator Trailhead has added a second space with a slightly different idea and mission. The location, in the 8th Street Marketplace's Mercantile building (the Bodovino building), gives entrepreneurs and startups a space to start businesses while keeping overhead costs down. A large, bright open space features room for about 30 desks. Each is a dedicated space where users can leave monitors, mugs, pens and the like. Five private offices ring the space - hosting startups like Natural Intelligence, Lovevery and Reply Pro. The space currently hosts the temporary home of Clickbank, but that space will soon become home to Trailhead's Code School. Entrepreneurs can share two reservable conference rooms and two "ad hoc" rooms for phone calls and the like. During First Thursday, Boise's mayor hosted an open house at Trailhead North. He noted that the non-profit organization fills a void in Boise's economic landscape. "(Trailhead) is a startup - it's a startup itself. There was real risk in doing this - but even more risk in not doing it," Mayor Dave Bieter said. Trailhead is supported by funds from the Capital City Development Corporation and City of Boise, and private entities like Wells Fargo (which presented a donation Thursday), J.A. & Kathryn Albertson Family Foundation and Micron. Disclosure: Day365, which operates this site, is based out of Trailhead North. Sometimes the dev news comes to us. They will be housed at a new 62,000 square foot, five-story facility at Gardner Co.'s Ten Mile Crossing Development. They will be joined by AmeriBen/IEC and Brighton Group at the new corporate campus. It is expected to open by May, 2018 with a groundbreaking this spring. The Rose Room events center in Boise's historic Union Block is set to close, BoiseDev exclusively confirmed. "It will close as an event room next spring, and reopen as offices in the summer," building owner Ken Howell said. Redwood City, CA-based Balsam Brands will take over 17,000 square feet of space in the building - including the event center, space currently used for small offices and an overflow dining room. Balsam currently has space in Meridian in the Central Valley Corporate Park. The company says it will relocate to the new, high-profile space in the downtown core. Fake Christmas trees and other holiday decor are Balsam's primary product - and Forbes featured it as a Small Giant startup last year. It was founded in 2006 and now earns more than $100 million in yearly revenue. Completed in 1902 for just $35,000, the building is a cornerstone of Downtown Boise architecture. It houses retail tenants like Old Chicago along with a mix of small office tenants on the second floor. The Rose Room has hosted thousands of events over the years - primarily wedding receptions. Howell told me earlier this month that the new tenant would possibly impact some current tenants but it wasn't clear how. Balsam says a final remodel plan for the building will be finalized this spring.